Modern day casts are still an important part of Orthopaedic care but much more comfortable and convenient than in years gone by. Used to immobilise and protect a fractured bone such as an ankle or wrist while it heals, most plasters are these days, lightweight and some even waterproof. Your doctor will provide the most suitable cast for your particular injury. You will also be provided with appropriate care instructions. When your plaster is applied it is often tight and will need time to dry. Some are quick drying and can be at full strength after half an hour. Your doctor will be able to advise you when you will be able to walk (weight bear) if you have a fracture of the lower limb. You may experience tightness around the cast, which is often associated with the initial injury. Once swelling subsides your plaster may feel more comfortable. 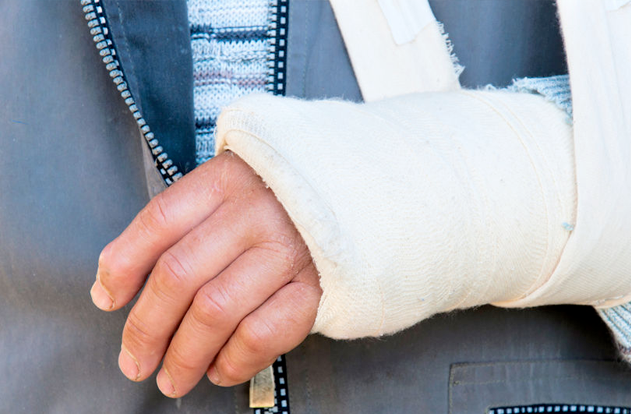 There are some precautions to take and routine observations to make so your injured limb receives the best of care and support from the cast. It is best to keep the injured limb elevated above the level of your heart for at least two days following application. This will help with pain and swelling. Your doctor will give you any further specific care regarding your injury. To promote circulation and healing, move your fingers and toes regularly. Unless specifically told, assume your plaster is not waterproof. Keep it dry at all times and if it does become wet, contact us as soon as possible so that it may be changed to avoid skin damage. Plaster casts can become itchy but try to resist the temptation to stick something under the cast to scratch. You could risk damaging the skin and/ or cause an infection under the cast. Once your doctor is happy with your progress your plaster will be removed. The special tools designed for this job are a little noisy as they use vibration rather than a cutting action to remove the plaster. Much of the noise can be attributed to the attached vacuum device, which aims to reduce the amount of plaster dust produced. When removing a larger cast (full leg) the vibrating may increase heat produced by the cast saw blade. It is important to tell the nurse if you experience any discomfort or increase in heat during the removal procedure. Injury to the skin during cast removal is uncommon. The skin under your plaster will feel different and may be quite sensitive following cast removal. Try not to rub or scratch the skin, as it will return to normal shortly. You may experience some swelling and muscle weakness afterwards, which is normal. Depending on the underlying problem you will be given directions for rehabilitation exercises to assist with the return to normal function. Sometimes your doctor will apply support braces or other devices to assist during this time. Remember to report back to your doctor if you experience any problems following the removal of your plaster.